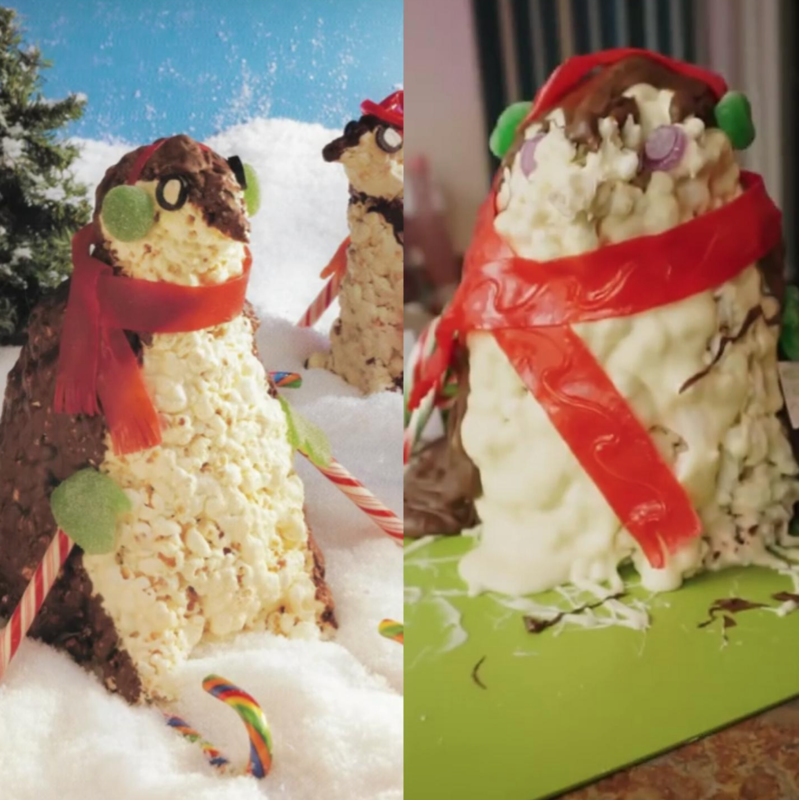 Lucky for us, some excellent types are openly sharing their pear-shaped efforts, in the name of cheering everyone up, and encouraging us to crack on with our culinary Christmas creations, regardless. 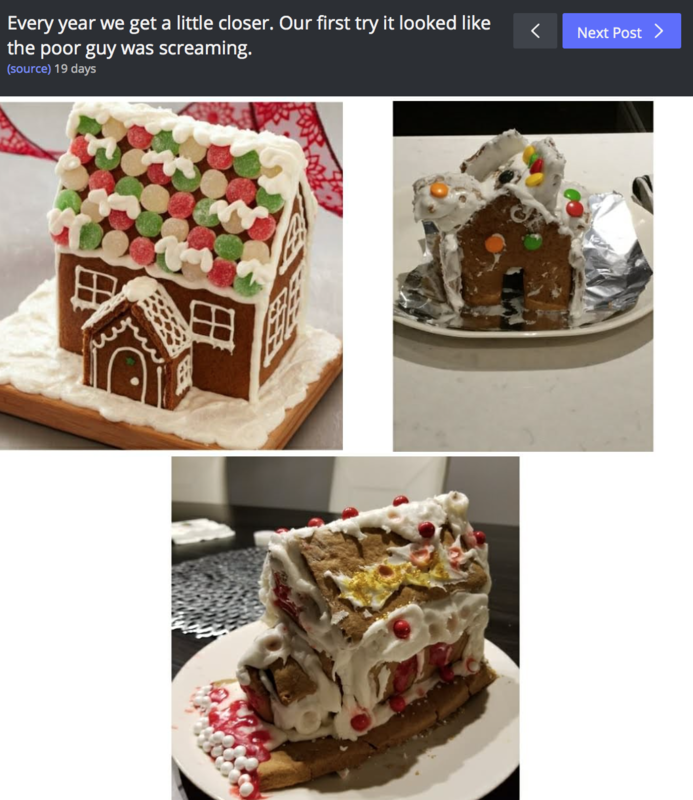 Because it truly is the thought that counts. Even if it gives you nightmares. Something got a leeeetle bit lost in translation here. A distinguishable face, perhaps? We are certain this seemed like a very good idea at the time. 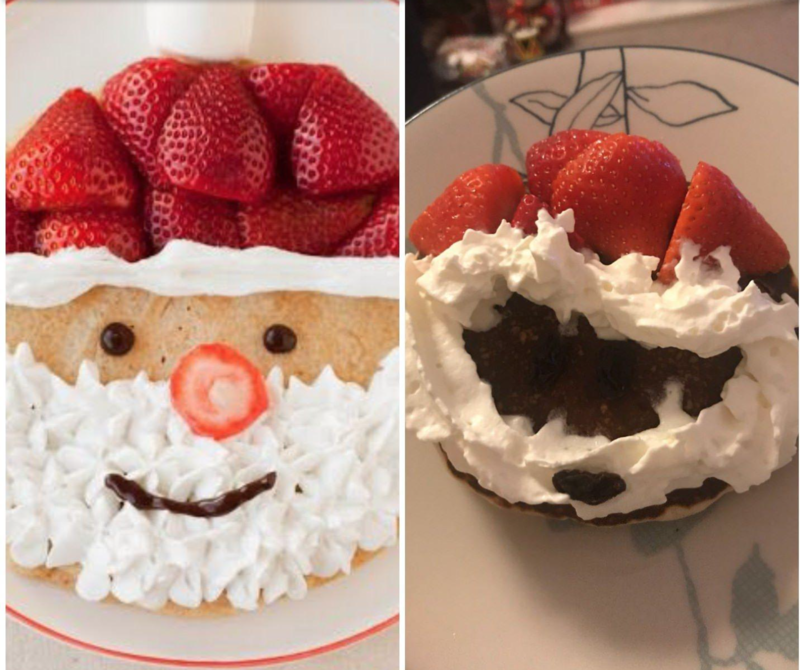 Very jolly (frightening). Much popcorn. 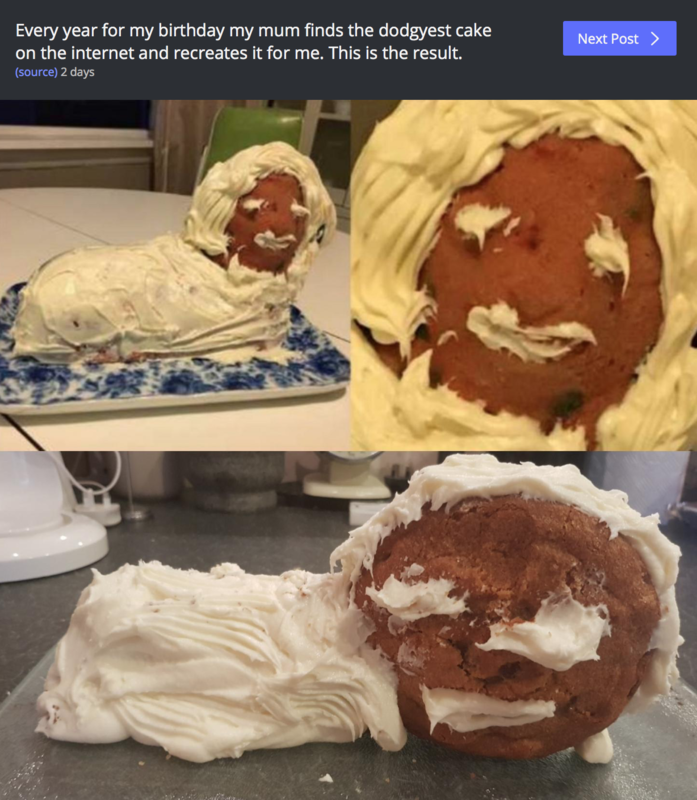 “Our first try, it looked like the poor guy was screaming,” the maker writes. Do you see the screaming house face? Cannot be unseen. Argh. 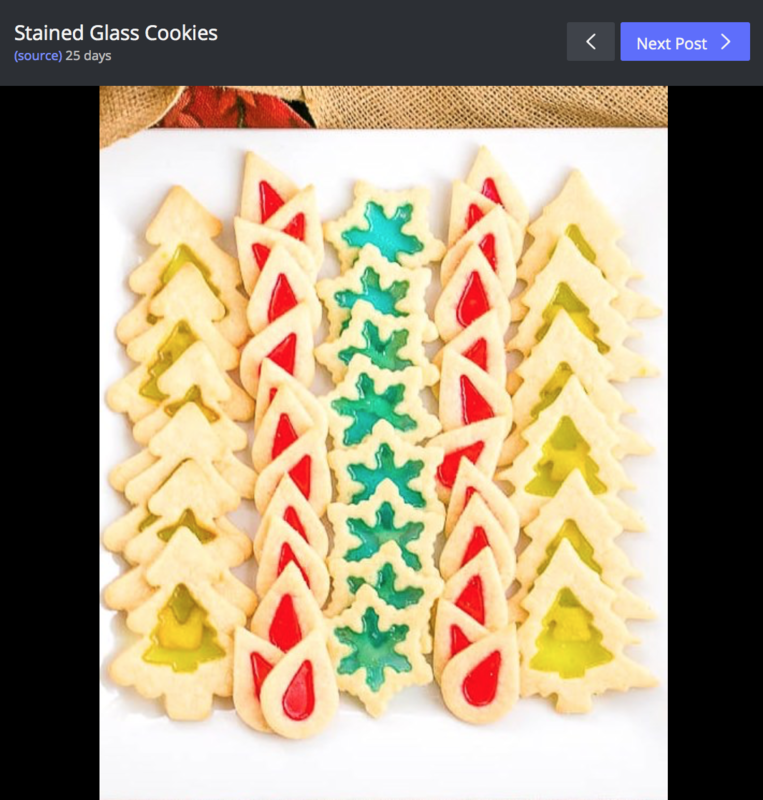 “These didn’t turn out like I wanted them too,” writes this Christmas chef. Not gonna lie, there’s a real charm in their attempt, and we’re quite partial to a wandering eye. 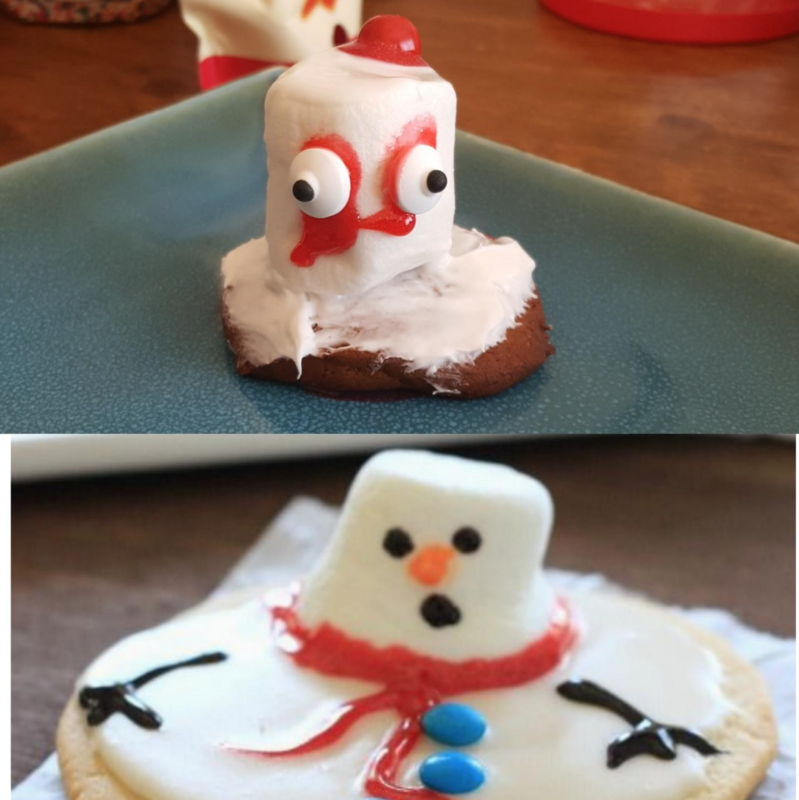 Someone thought the memo said “bleeding snowman” and they really ran very boldly with that concept. Yeah. Look. 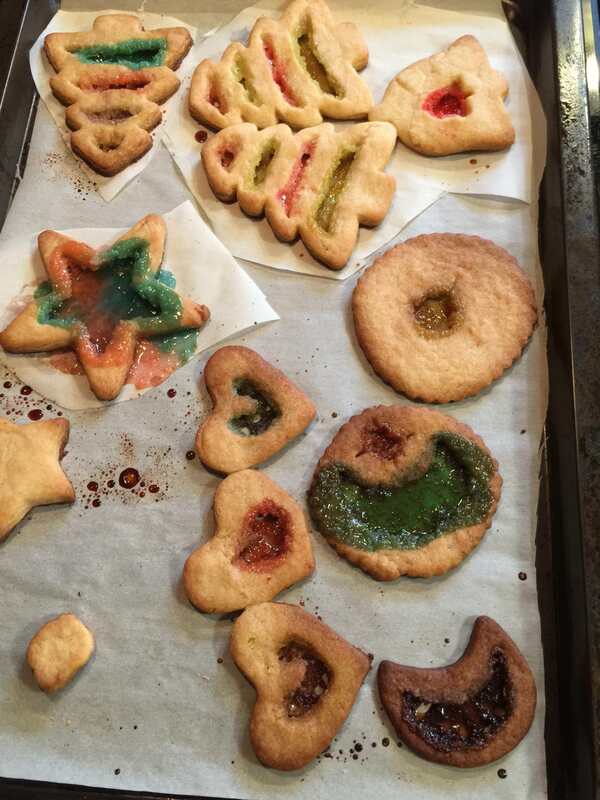 If cookies could embody a state of mind, these ones might need some Xanax and a little bit of compassionate counselling. 8. 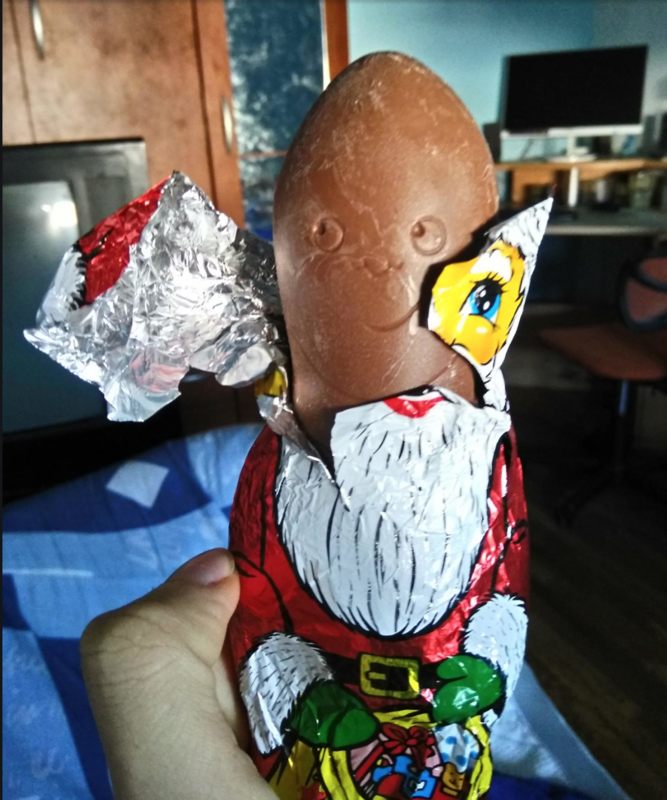 St Nicholas? Is that you? 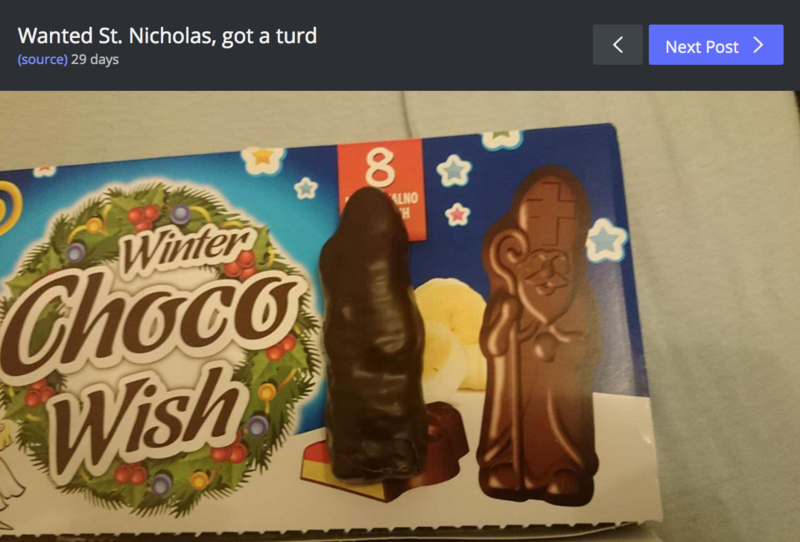 Be careful what you wish for, because you too might get a chocolate poop pretending to be St Nicholas. 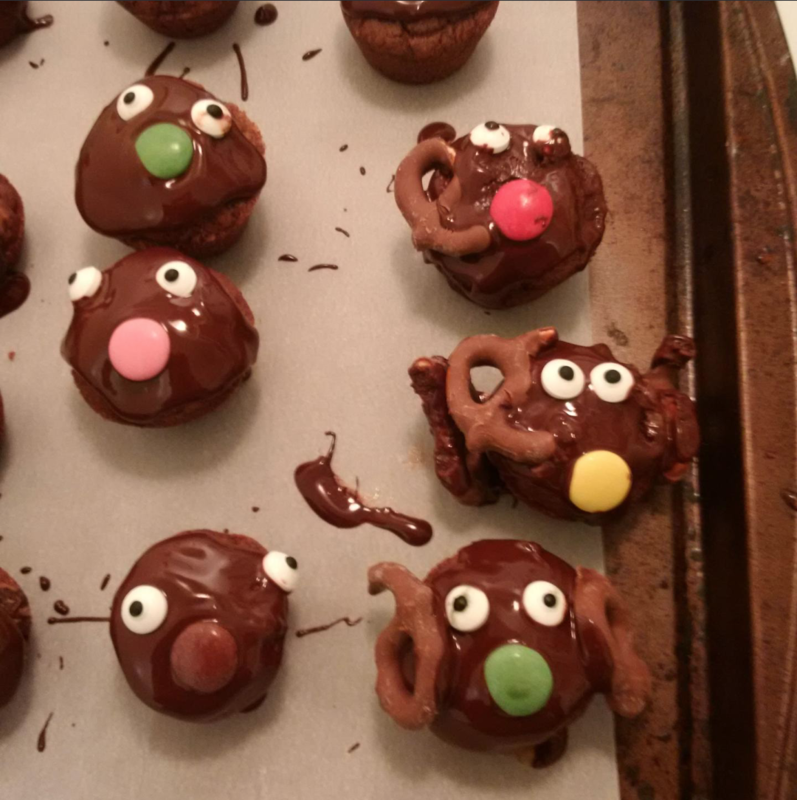 Granted, not Christmassy but oh so fabulously excelling in the fail department and done in a purposeful way by a great mum, no less! 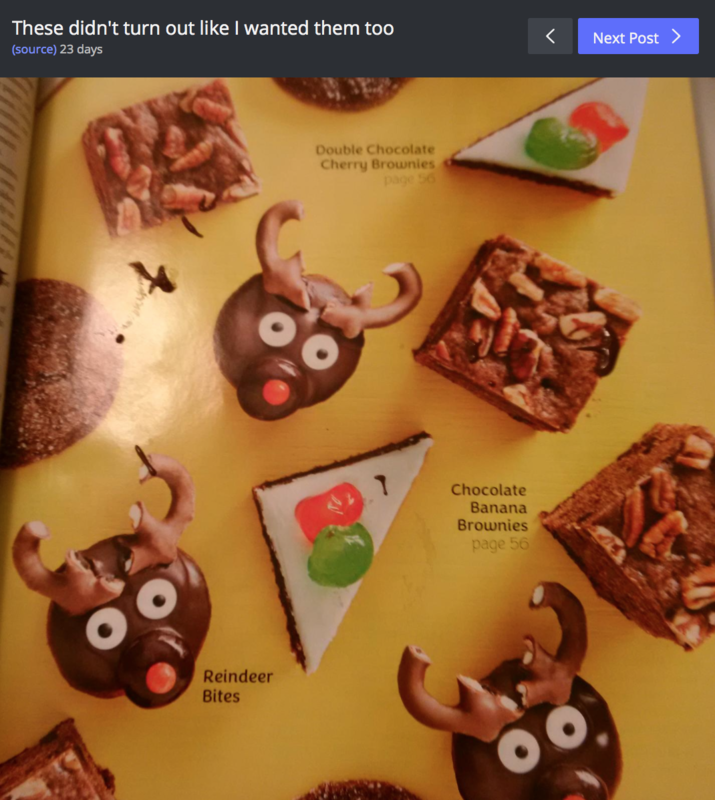 We are sure you are very inspired by these festive foodie creations and no doubt feeling a LOT better about your own efforts, because sometimes comparison is the GIVER of joy.